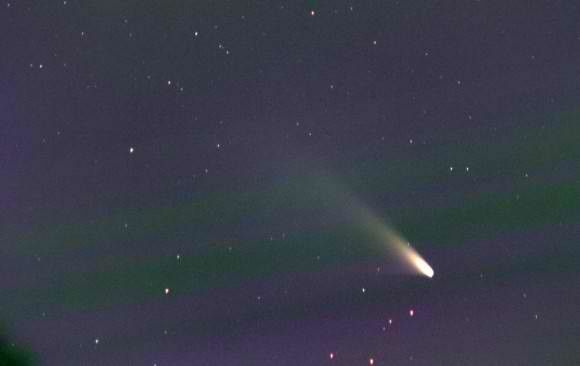 Will 2013 be a great year for comets? That's to be seen, as a saying is that comets are like cats - "They both have tails do what they want". 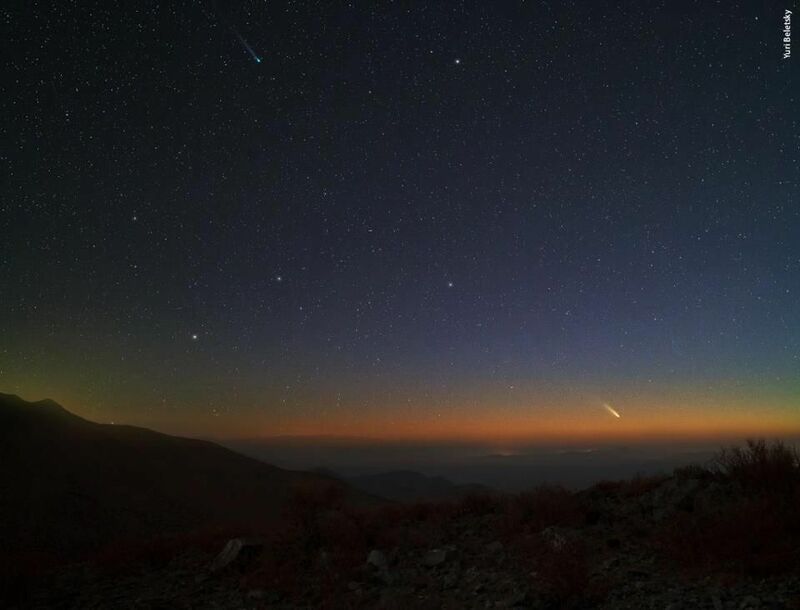 Comets are notorious is unpredictable behavior, as they can flare up, outgas, spinter and become a spectacular celestial event to enjoy - sometimes spanning the more than 45 degrees in a beautiful display of tail and coma....or it can be a dud. Comets Lemmon at the top with a great greenish glow and Pan-STARRS near the bottom. Both are heading up toward the northern latitudes as you read this in early March 2013. Do not buy into the "Brighter than the Moon" - "Comet of the Century" hoopla media sensationalism and from some Astronomers. They will certainly be nice visiting Oort cloud visitors into our Solar System and well worth the focus of attention for our Chicago Astronomer Star Party fans and visitors....but no, no comet of the century here folks. 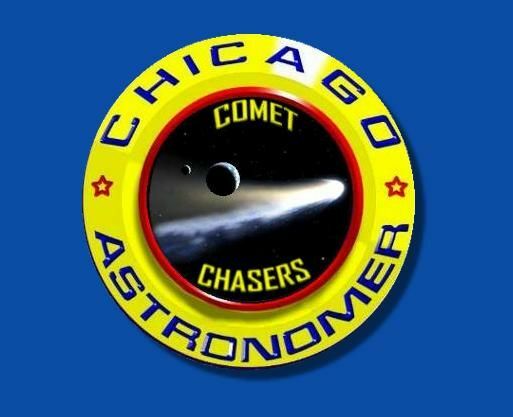 Follow along with each comet on the dedicated comet boards here at the Chicago Astronomer for updates, charts and data in observing these comets from the city. Are you going to be having any sessions?? ?I would love to get out and view this with the group. Looking to try and view panstarrs tonight since it is clear and not super cold. lemme know if anything is going on for tonight before 4:30 pm please since I live in the southern suburbs and have to give time for a drive if something is going on. Thanks guys! "If people sat outside and looked at the stars each night, I bet they would live a lot differently"
The early prospects for a Chicago sighting is slim, but as soon as it get's over 10 degrees or so...we will set-up scopes for our members and fans to enjoy and share. Keep an eye out for the notices. Awesome picture from NZ there!